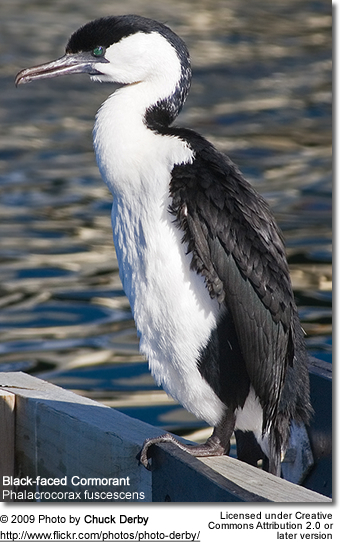 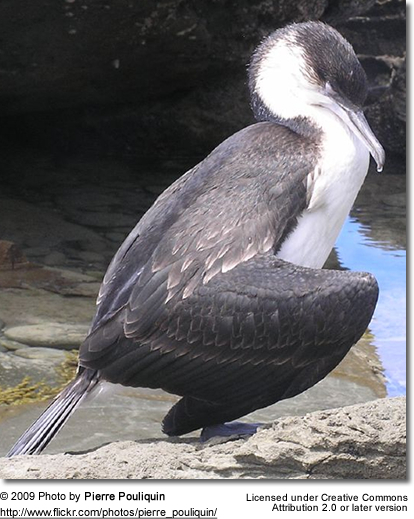 The Black-faced Cormorant (Phalacrocorax fuscescens), also known as the Black-faced Shag, is a medium-sized member of the cormorant family. 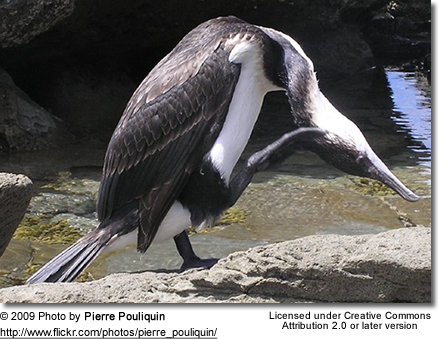 Upperparts, including facial skin and bill, are black, with white underparts. 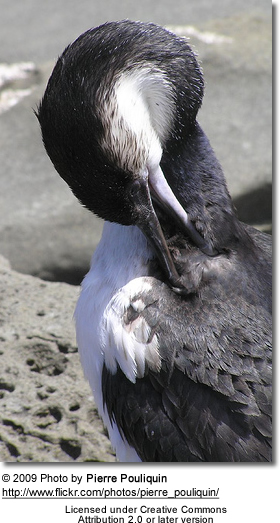 The Black-faced-Cormorant feeds largely on small coastal fish, diving in depths up to 12 m. Fish of lengths up to 50cm have been observed to be taken. 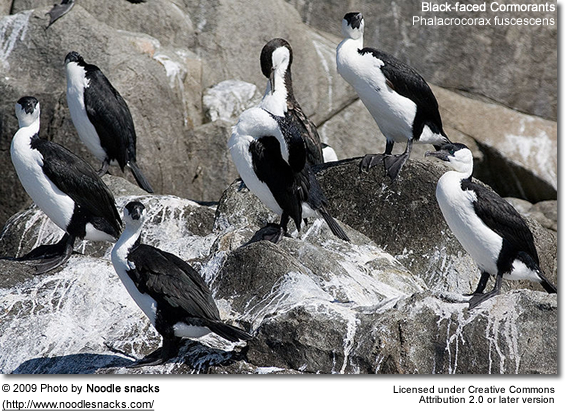 The birds sometimes forage in flocks, apparently in an organised way.